Uncommon as a seven-point buck in December, true country gentlemen are hard to find. Jeff Clayborn (JC) subscribes to a brand of organic country that can’t be replaced or altered. A Texas tumbleweed with down home roots, Clayborn sports Southern swagger from his signature low-brimmed hat to his cowboy boots. Brewed in a story and distilled in mystique, Jeff Clayborn’s “Good Bar Attender“ is 100-proof country. The debut, boot-stomping single is an anthem for the working man’s truth, and has made its mark on the Texas Regional Radio Report Top 40. The music video brings audiences to their feet, featuring comedy king Chad Prather (as ‘Lucky’). High on overwhelming support from the home Texas market, JC is hitting new markets and soaring to new heights with his brand new single, “Caddy in the Campground,” written by Clayborn and award-winning writers, Chuck Ebert and Betsy Walter. Full of grit and howlin’ of good times, Jeff Clayborn shows he can be rough, tough, and ready to rock ‘n’ roll, while ‘keeping it real’ country. Clayborn’s unapologetic Texas twang is accompanied by a full roaring guitar and vivacious fiddle, showcasing his ever-present sense of humor and love of campfire cologne, fine women, and even hotter cars. 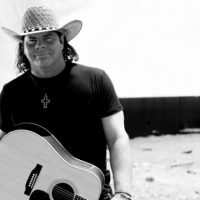 Though rooted in grace and humility, JC tours coast-to-coast and has shared the stage with the likes of Reba McEntire, earning his stripes as a bona fide country artist. Now, embarking on a new journey, Jeff Clayborn has released his self-titled EP on The Cabin Record Co. label, featuring “Good Bar Attender” and “Caddy in the Campground.” The album was produced by Grammy award-winner and Executive Producer of Axon Entertainment, Chuck Ebert.